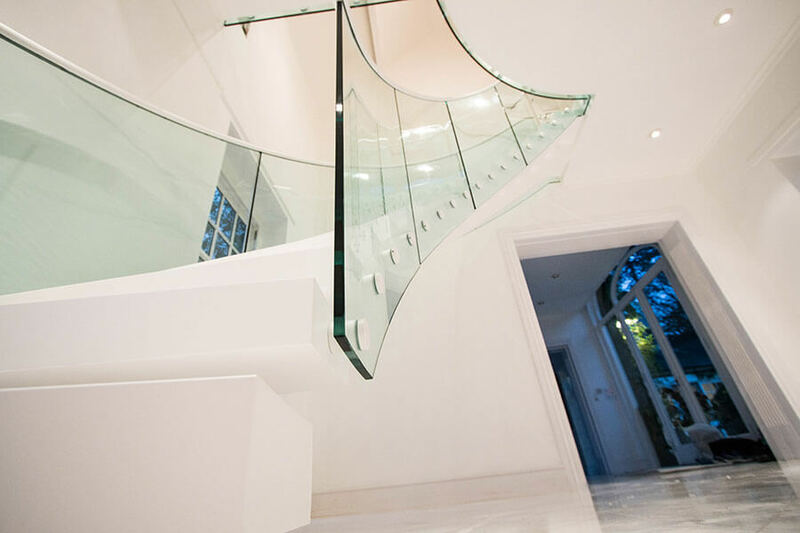 This project proved that perfection is our second name. 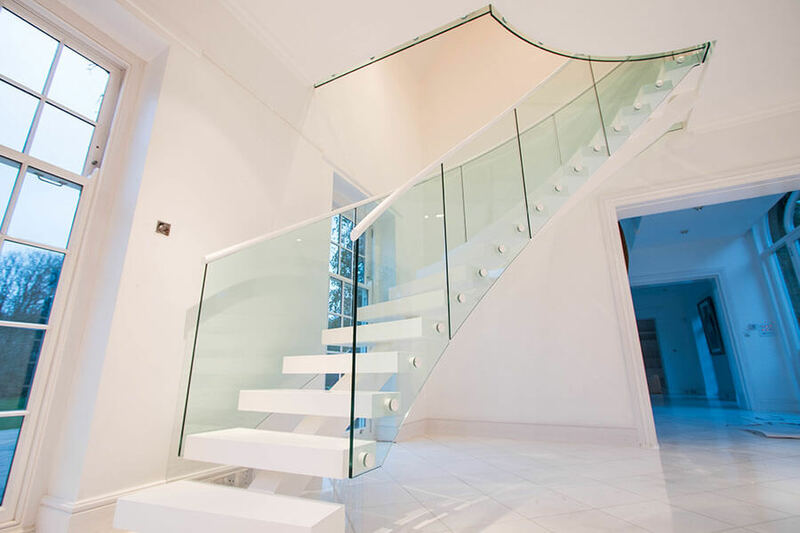 This modern villa cried out for a contemporary staircase with open treads that would invite the light and be an integral part of the house décor. 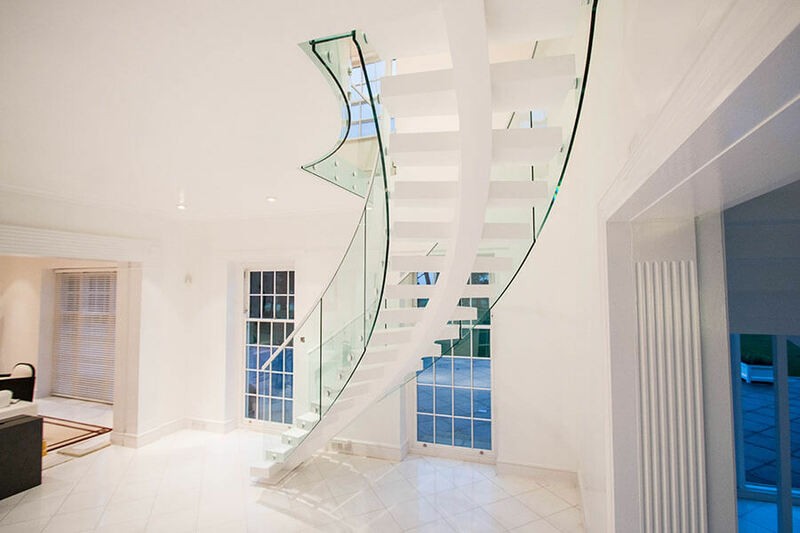 We went for middle spine stairs with a helical turn to eliminate any squareness that could possibly spoil the luxury of the place. 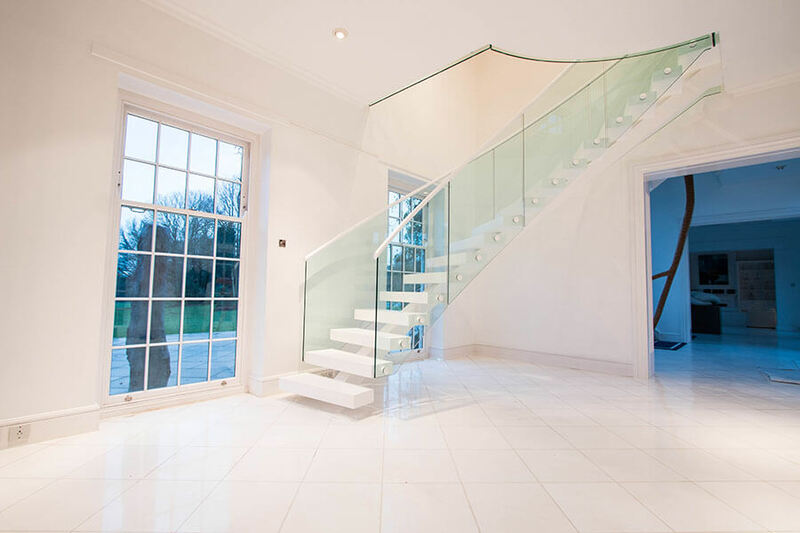 Both the treads and the spine are coated with white acrylic material to harmonise with the purity of the hall. 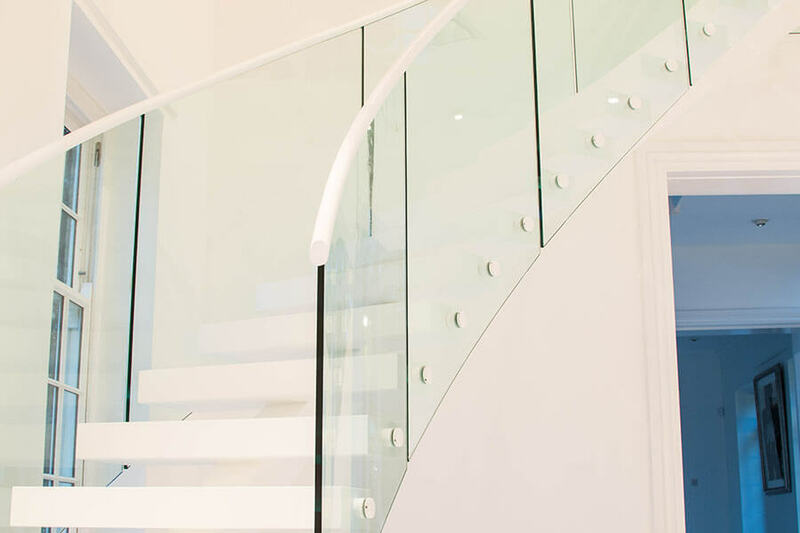 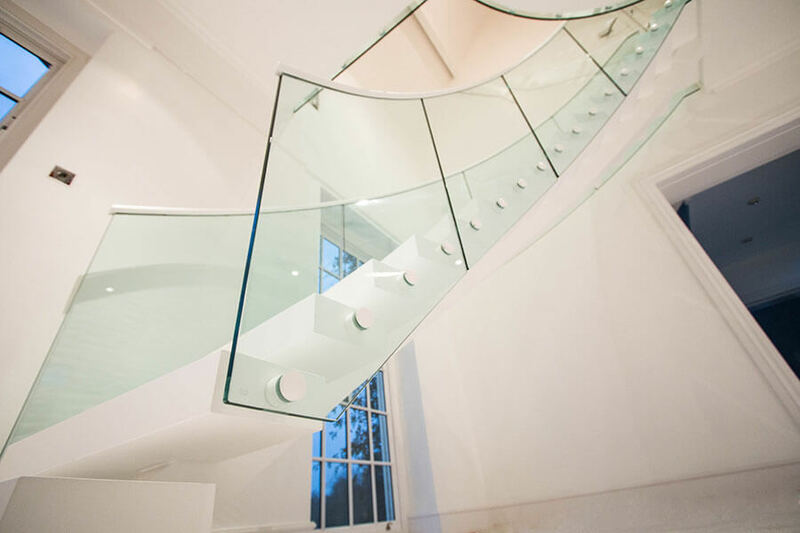 The helix glass balustrade with the white handrail is the perfect finish for the staircase. 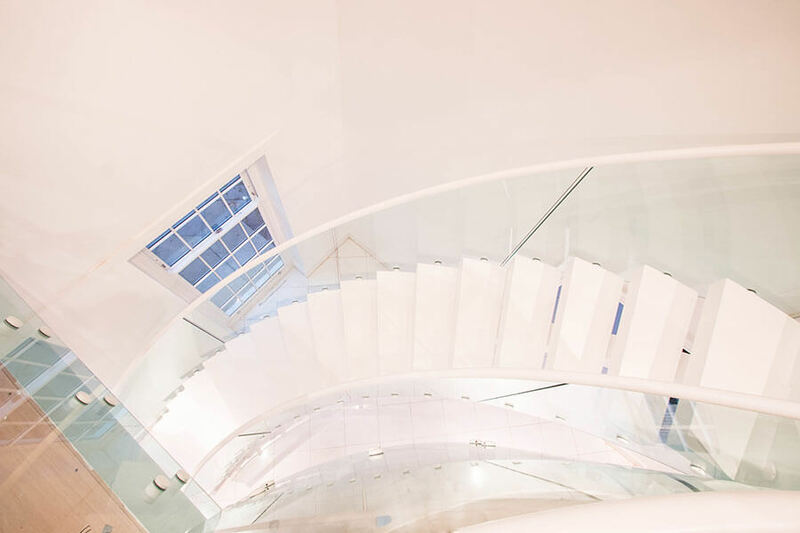 The final effect just swept us off the feet.